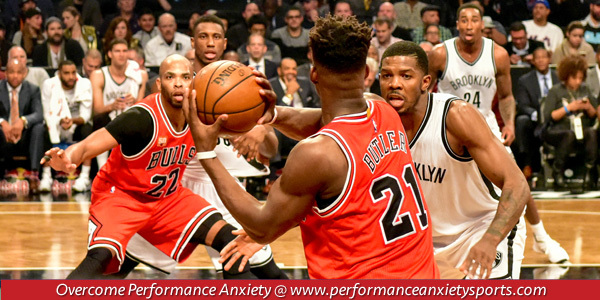 Performance anxiety is the most common culprit for poor athletic performance. Many athletes feel they “choke” in the spotlight or often perform well in practice but unravel at competitions. These athletes suffer through common characteristics of fear of failing, elevated heart rates, accelerated breathing, tense muscles, inability to focus and racing thoughts. Although many athletes get too nervous at competitions, some athletes stay calm and relaxed and perform to their capabilities on a consistent basis. Lee Kiefer is Olympic fencer and peak performer whose confidence rarely waivers at competitions. Lee has experienced success both nationally and internationally and is currently the top ranked US women’s foilist in the Junior division and the No. 2 foilist in the Senior division. Lee made the 2012 Olympic team at the age of 18 and helped the United States women’s team finish sixth in the Team Foil competition. Lee also placed fifth overall in the Women’s Individual Foil competition and currently competes for the University of Notre Dame. The big question then is how does an athlete become mentally tough, not choke and thus perform well under pressure? We can find some clues from Lee’s training as a fencer. One way to deal with anxiety is to not get too nervous in the first place. This can be accomplished through proper technique repeated consistently over time so that it becomes second nature to the athlete. If you have replicated the proper technique over and over, you tend to be more confident in competitions and can trust in your skills. Lee comes from a long line of doctors and plans on becoming a doctor herself. Lee is calm and calculated during competitions with the precision of a surgeon. Ultimately, all athletes experience some level of performance anxiety or stress at competitions. The difference-maker for elite performers is that they are able to control their emotions instead of being controlled by them.